Three police officers indicted in the stripping and battering of a 15-year-old Uzoamaka Chukwu in Umunaga Uburu, Ohaozara Local Government Area of Ebonyi State, are currently undergoing orderly room trial. Vanguard reports. Uzoamaka was stripped naked and beaten with cables and canes by some persons in the area with the pictures and video of the incident posted on the social media since last week. 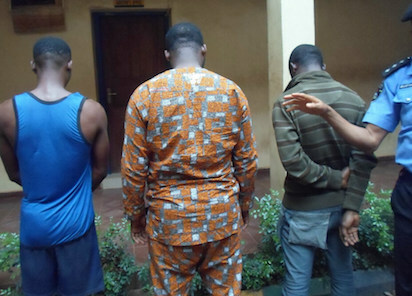 The state Commissioner of Police, Peace Ibekwe Abdallah, who stated this at the Command’s Headquarters in Abakaliki yesterday, added that after the orderly room trial, the three policemen, if found guilty, would be prosecuted. According to her, other suspects arrested in connection with the incident were Ene Odii Ogbonnaya, Coordinator of Ohaozara Development Centre, and two others. “The victim has just been able to make her statement and the case is being investigated to ensure that justice is done,” she added. She assured that the incident will be properly investigated and that justice will be done.